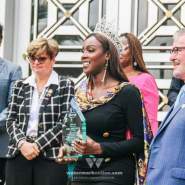 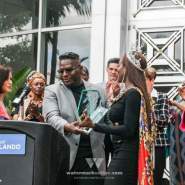 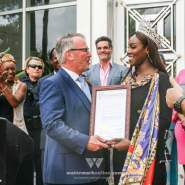 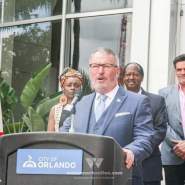 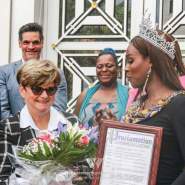 ORLANDO | Mayor Buddy Dyer recognized the current Miss International Queen Jazell Barbie Royale with a proclamation to the city declaring it “Jazell Barbie Royale Day” in the city of Orlando on April 11. 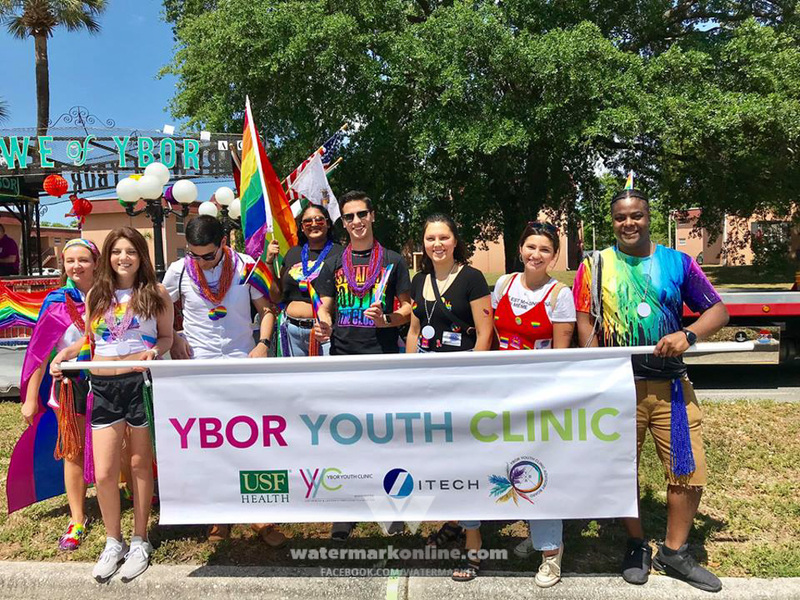 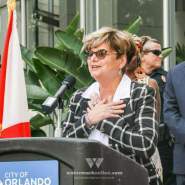 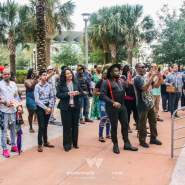 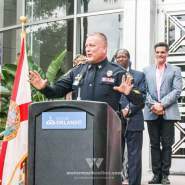 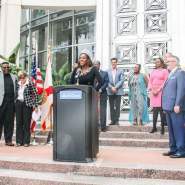 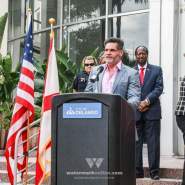 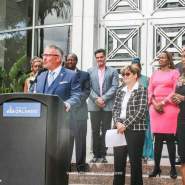 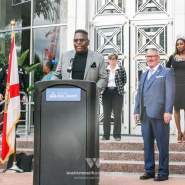 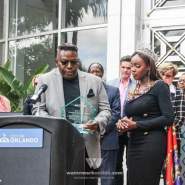 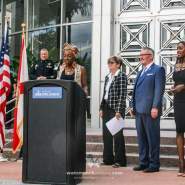 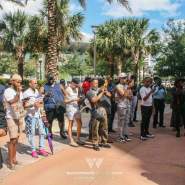 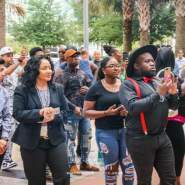 Dyer and Royale were joined on the steps of City Hall by City Commissioner Patty Sheehan, Parliament House Entertainment Director Darcel Stevens, Orlando Police Captain Jim Young, Bliss CARES Medical Director Dr. Roberto Ortiz and many of Royale’s family, friends, fans and supporters. 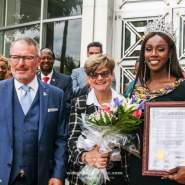 Royale made history as the first black transgender woman to be named Miss International Queen when she was crowned at the pageant in Thailand on March 8. 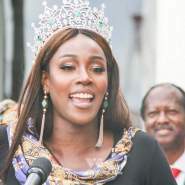 Royale is also the first contestant from the U.S. to win the top prize since Mimi Marks in 2005. 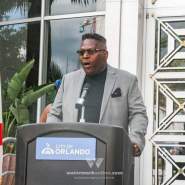 Royale is known in the Central Florida community as a performer at the Parliament House and an LGBTQ advocate with Bliss CARES, a nonprofit organization in Orlando whose mission is to treat and prevent HIV/AIDS, hepatitis and other STDs in the local area. 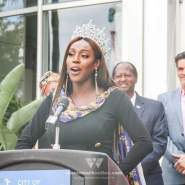 Royale’s platform in both the pageant and during her reign as Miss International Queen is HIV/AIDS awareness and education around the HIV-preventative drugs PrEP and PEP. 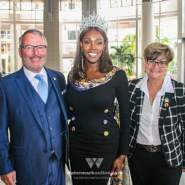 Miss International Queen Pageant is the largest transgender beauty pageant in the world and has been an annual event in Thailand since 2004. 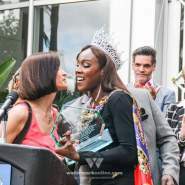 The pageant was previously known as Miss Tiffany’s Universe and began running in Thailand in 1998.